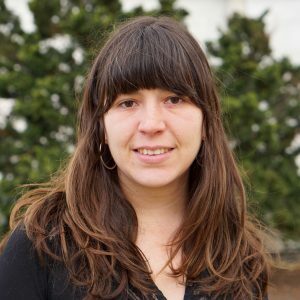 Pamela Martinez is a postdoctoral research fellow at the Harvard T.H. Chan School of Public Health working with Caroline Buckee and Marc Lipsitch in the Department of Epidemiology. She received her Ph.D. in Ecology and Evolution at the University of Chicago in 2017. During her Ph.D., Pamela conducted research on the interaction of ecological and evolutionary mechanisms driving pathogens diversity and their population structure, under the guidance of Mercedes Pascual. Her current research at CCDD focuses on the adaptive responses of antigenic loci to selective pressures imposed by the immune system. This work has the potential to provide a better understanding of serotype diversity and the population dynamics of Streptococcus pneumoniae and their implications for disease control.